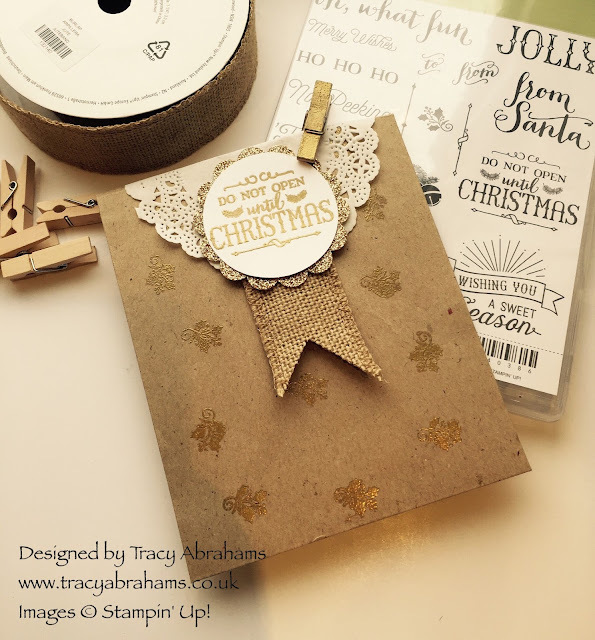 Tracy Abrahams : Christmas Gift Bags using Stampin' Up! Christmas Gift Bags using Stampin' Up! My gosh hasn't this week gone fast it's Friday already!! I'm busy getting everything ready for a Christmas Tags and Bags Class using Stampin' Up! Oh What Fun Tag Kit and stamp set. It's such a great Kit with 30 tags to make. We're going to use same as tags and some as fronts for cards. We're also going to be making some gift bags and that's what I've made below, isn't it cute. I made this bag using the Kraft Tag a Bag Gift Bags there 10 bags for £3.25 and they are so versatile. 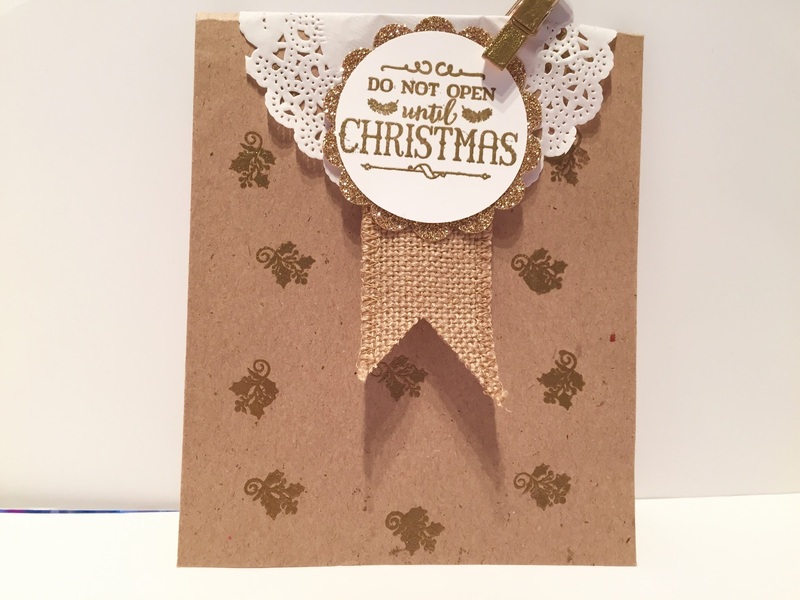 I've heat embossed this one with Gold embossing powder and one of the little stamps from the stamp set Oh' What Fun which co-ordinates with the tag kit. I've also made the tag on the front of the bag with the same stamp set and I have placed it on a Glimmer Paper Scalloped Circle. Lastly for a little extra bling I have heat embossed the little clothespins with the same Gold embossing powder too. Being careful not to burn my fingers !!! I love the way the bag turned out, heat embossing is so much fun and you get such a great results. It's turned this bag into something really special, and at a fraction of the cost of one you would buy in the shops.. I hope you like today's little project you will find all the products I used below in the table. If you want to make a purchase please add the October Hostess code no TU29DE7E before you check out to receive this months lovely free gift, please tick the "I would like contact" as this helps me know where to send the gift out to, I will only contact you afterwards to ask if you would like to know about future special offers. All boxed Up Kit by Stampin' Up!